Even as there was a lukewarm mission to the Native Americans there was a double standard in regards to slavery. Plantation style economy was bringing in wealth, but was dependent upon slave labor. Economy and principle clashed. Even John Locke who in his Two Treatises declared the vileness of slavery, that an Englishman or any gentleman could possibly plead for it, did so when he helped draft the South Carolina Constitution. Christians knew there was an inherent contradiction with the freedom promised by Christ and slavery. The Church had the hard choice to compromise and save souls or stand on principle and condemn souls. At the Dutch colony in the Cape of Africa, slaves who were baptized could not be sold again. To circumvent this rule, baptism was kept at a minimum. It was not for the first time a rule intending to help, ended up hurting. South Carolina Anglican clergyman Francis Le Jau designed an oath for slaves becoming Christian not to ask for freedom, and an Act of Virginia Assembly in 1667 declared that baptism doesn’t give freedom for a slave. Even one of the the founders of America, George Washington, wrestled with the inherent contradiction of slavery and a just society, and ultimately ended up freeing all his slaves in his will. Was is better to compromise and keep them as slaves in this world and save their souls for the next? Perhaps the question should have been asked to the owners regarding their own souls. Quakers were relatively strict Christians in the seventeenth century. They refused to bow or take off their hats to social superiors, believing all men equal under God, a belief antithetical to an absolute monarchy which believed the monarch divinely appointed by God. Therefore, Quakers were treated as heretics because of their principles and their failure to pay tithes. They also refused to swear oaths of loyalty to the King. Quakers followed the command of Jesus not to swear, reported in the Matthew 5:34. The basic ceremony of Quakerism is silent meditation in a meeting house, conducted in a group. There is no ritual and no professional clergy, and Quakers disavow the concept of original sin. God’s communication comes to each individual directly, and if so moved, the individual shares their revelations, thoughts or opinions with the group. The reign of King Charles in England had tightened restrictions against all religious sects other than the Anglican Church, making the penalty for unauthorized worship imprisonment or deportation. The “Five Mile Act” prohibited dissenting teachers and preachers to come within that distance of any borough. The Quakers were especially targeted and their meetings were deemed as criminal. Despite the dangers, William Penn began to attend Quaker meetings near Cork. Penn found all the tenets of Quakerism to sit well with his conscience and his heart. Soon Penn was arrested for attending Quaker meetings. Rather than state that he was not a Quaker and thereby dodge any charges, he publicly declared himself a member and finally joined the Quakers at the age of 22. In pleading his case, Penn stated that since the Quakers had no political agenda (unlike the Puritans) they should not be subject to laws that restricted political action by minority religions and other groups. Sprung from jail because of his family’s rank rather than his argument, Penn was immediately recalled to London by his father. By abolishing the church’s authority over the congregation, Fox not only extended the Protestant Reformation more radically, but he helped extend the most important principle of modern political history – the rights of the individual – upon which modern democracies were later founded. Penn traveled frequently with Fox, through Europe and England. He also wrote a comprehensive, detailed explanation of Quakerism along with a testimony to the character of George Fox, in his introduction to the autobiographical Journal of George Fox. In effect, Penn became the first theologian, theorist, and legal defender of Quakerism, providing its written doctrine and helping to establish its public standing. Penn’s first of many pamphlets, “Truth Exalted”, was a short and concise testimony against all religions except Quakerism. His strident attack on the Trinity and his branding the Catholic Church as “the Whore of Babylon” and Puritans as “hypocrites and revelers in God” brought him attention from the Anglican Church. He also lambasted all “false prophets, tithemongers, and opposers of perfection”. Penn found himself continuously hounded by both the religious and civil authorities in England, and was jailed numerous times for his strident religious beliefs. Penn demonstrated no remorse for his aggressive stance and vowed to keep fighting against the wrongs of the Church and the King. For its part, the Crown continued to confiscate Quaker property and put thousands of Quakers in jail. Penn’s religious views effectively exiled him from English society; he was expelled from Christ Church, Oxford for being a Quaker, and was arrested several times. Among the most famous of these was the trial following his 1670 arrest with William Meade. Penn was accused of preaching before a gathering in the street, which Penn had deliberately provoked in order to test the validity of the new law against assembly. The persecution of Quakers had accelerated and Penn decided to appeal directly to the King and the Duke. 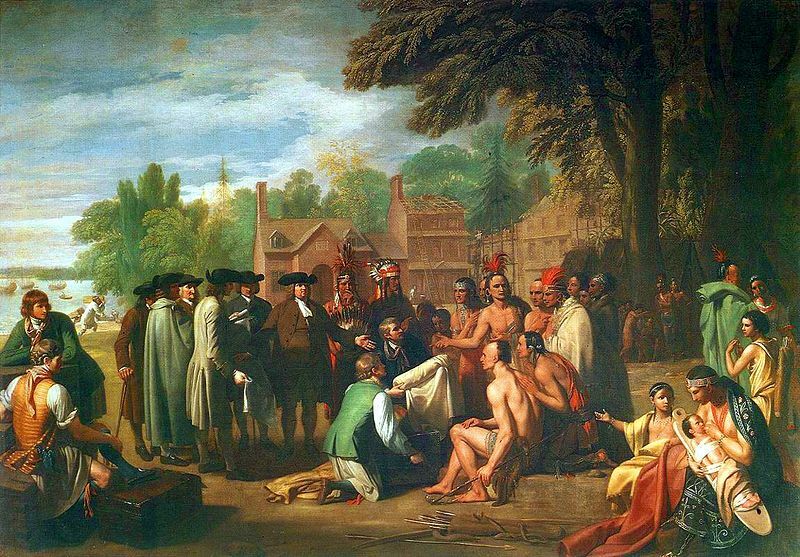 Penn proposed a solution, which would solve the dilemma—a mass emigration of English Quakers. In 1677, a group of prominent Quakers that included Penn purchased the colonial province of West Jersey (the western half of New Jersey). Hundreds of Quaker settlers followed Penn’s perilous journey across the Atlantic including George Fox himself. In 1682, the whole territory of New Jersey was purchased by the Quakers. With the New Jersey foothold in place, Penn pressed his case to extend the Quaker region. Whether from personal sympathy or political expediency, to Penn’s surprise, the King granted an extraordinarily generous charter, which made Penn the world’s largest private (non-royal) landowner, with over 45,000 square miles. Penn became the sole proprietor of a huge tract of land west of New Jersey and north of Maryland and gained sovereign rule of the territory with all rights and privileges (except the power to declare war). Penn first called the area “New Wales”, then “Sylvania” (Latin for “forests” or “woods”), which King Charles II changed to “Pennsylvania” in honor of the elder Penn. On March 4, 1681, the King signed the charter and the following day Penn jubilantly wrote, “It is a clear and just thing, and my God who has given it me through many difficulties, will, I believe, bless and make it the seed of a nation.” Penn drew up a Frame of Government for the Pennsylvania colony. Freedom of worship in the colony was to be absolute, and all the traditional rights of Englishmen were carefully safeguarded. Penn drafted a charter of liberties for the settlement creating a political utopia guaranteeing free and fair trial by jury, freedom of religion, freedom from unjust imprisonment and free elections. Having proved himself an influential scholar and theoretician, Penn now had to demonstrate the practical skills of a real estate promoter, city planner, and governor for his “Holy Experiment”, the province of Pennsylvania. Besides achieving his religious goals, Penn had hoped that Pennsylvania would be a profitable venture for himself and his family. But he proclaimed that he would not exploit either the natives or the immigrants. Though thoroughly oppressed, getting Quakers to leave England and make the dangerous journey to the New World was his first commercial challenge. Some Quaker families had already arrived in Maryland and New Jersey but the numbers were small. To attract settlers in large numbers, he wrote a glowing prospectus, considered honest and well-researched for the time, promising religious freedom as well as material advantage, which he marketed throughout Europe in various languages. Within six months he had parceled out 300,000 acres (1,200 km2) to over 250 prospective settlers, mostly rich London Quakers. Eventually he attracted other persecuted minorities that included Huguenots, Mennonites, Amish, German Catholics, Lutherans, and Jews from different regions of Northern Europe. Next, he set out to lay the legal framework for an ethical society where power was derived from the people, from “open discourse,” in much the same way as a Quaker Meeting was run. Notably, as the sovereign, Penn thought it important to limit his own power as well. The new government would have two houses, safeguard the rights of private property and free enterprise, and impose taxes fairly. It would call for death for only two crimes, treason and murder, rather than the 200 crimes listed under English Law, and all cases were to be tried before a jury. Prisons would be progressive, attempting to correct through “workshops” rather than through hellish confinement. All this was a radical departure from the laws and the lawmaking of European monarchs and elites. Over twenty drafts, Penn labored to create his “Framework of Government.” He borrowed liberally from John Locke who later had a similar influence on Thomas Jefferson, but added his own revolutionary idea—the use of amendments—to enable a written framework that could evolve with the changing times. Penn hoped that an amendable constitution would accommodate dissent and new ideas and also allow meaningful societal change without resorting to violent uprisings or revolution. After Penn’s death, Pennsylvania slowly drifted away from a colony founded by religion to a secular state dominated by commerce. Many of Penn’s legal and political innovations took root, however, as did the Quaker school in Philadelphia for which Penn issued two charters (1689 and 1701). Voltaire praised Pennsylvania as the only government in the world responsible to the people and respectful of minority rights. Penn’s “Frame of Government” and his other ideas were later studied by Benjamin Franklin as well as the pamphleteer of the American Revolution Thomas Paine, whose father was a Quaker. Among Penn’s legacies was the unwillingness to force a Quaker majority upon Pennsylvania, allowing his state to develop into a successful “melting pot”. In addition, Thomas Jefferson and the founding Fathers adapted Penn’s theory of an amendable constitution and his vision that “all Persons are equal under God” in forming the federal government following the American Revolution. John Locke (1632 – 1704) was a British philosopher who was the first to articulate the central ideas of modern empiricism, according to which knowledge comes only or primarily from sensory experience and evidence (especially through experimentation) in the formation of ideas, over the notion of innate ideas, intuition, a priori reasoning, or revelation. Empiricism forms one of the basic epistemological tenets of the modern scientific method where “knowledge is tentative, probabilistic, subject to continued revision and falsification.” (Shelley, M., “Empiricism”, Encyclopedia of Educational Leadership and Administration, pp.338 – 339, Thousand Oaks, CA: SAGE Publications, Inc.). He believed that all knowledge came through experience and that we start off as a tabula rasa– a “blank slate”: our minds contain nothing until experience starts writing on them. His political theories were to later influence the development of both the British and American constitutions. He was born into a Puritan family and educated at Westminster School and Christ Church, Oxford, where he studied philosophy and medicine. The philosophy he studied at Oxford was still strongly influenced by scholasticism. He became personal friends with the leading scientists of the day, such as Isaac Newton and Robert Boyle, who is considered to be the first modern chemist. In 1683 he had to leave England for the Netherlands because of his political views. It was there that he wrote his best-known philosophical work, the Essay Concerning Human Understanding, which he published in 1689 upon his return to England. In his philosophy he championed human reason, which he considered to be a gift from God. To him, reason was to be the last judge and guide in everything. But he was also aware that human understanding had its limits. For instance, he believed that we don’t know things directly, but rather we know our ideas of them, which we obtain from the sensations we experience. From these ideas we form other ideas as a result of reflection. When it came to ethics, he did believe we could have total certainty in ethics, for two reasons: first, our reason tells us that there are basic moral principles that apply universally. Second, God, who is the source of these moral principles, has been revealed to us in the Bible. In his treatise The Reasonableness of Christianity, he details how closely the biblical principles and the principles reason shows us agree. In the seventeenth-century atmosphere of skepticism in which he lived in, where everything was questioned, he sought to defend the Christian faith by showing that it was perfectly rational to believe in it. Some truths in Christianity, like the moral laws and the existence of God, could be easily established by reason apart from revelation. In Essay he showed that the existence of God was something we can know with a mathematical type certainty – more certain, in fact, than we can know the existence of external objects in the world. But he did accept that some truths of the Christian faith were above reason (for instance, the impossibility of proving the immortality of the soul) – thus the need for revelation and faith, but upon the condition that they were not contrary to reason. In his political philosophy, he is best known for the theory of the “social contract” which he derived from the Bible. He expressed no belief in the divine right of kings. When he became involved in the Whig case of James, Duke of York’s exclusion from the succession in 1679 – 81, he appealed to the Bible to debunk the belief in the divine right of kings. Proponents of kingly divine rights had turned to the book of Genesis to claim a hereditary succession from Adam, granted by God, to justify the divine character of royal succession in their own day; however, Locke denied such an idea could be found in the Genesis text. According to Locke, although Adam’s fall had brought about the curse that humans had to work hard in order to survive, this burden had engendered a natural right in all people to labor and to possess the land for labor (loc. 14227). Reason taught that we are all equal and that everyone has a right to life, liberty, and the owning of private property. The foundation of government is a contract with the people to protect these rights. We give up some of our freedom in order to enjoy the benefits of this social contract- this is known as “tacit consent”, whereby residing within the state and receiving the benefits that it provides, we tacitly give our consent to the state. If we don’t like it, we can leave. Generally the people should trust their government, but if a government fails to protect their natural rights, then it should be removed and another set up in its place. As for his views on toleration, though he belonged to the Church of England, he did not accept that all should be compelled to belong to the state church. Instead, churches should be voluntary associations that were independent of the state. Overall, he proposed that most religious matters should be left to the conscious of the individual – a radical claim during his era. Locke’s ideas were of course not very popular with the Whig establishment, which did not want to endanger its fragile alliance with the Anglican Tories and their defense of King William’s rule, whom they saw as God’s agent in defending the English Church (loc. 14235). 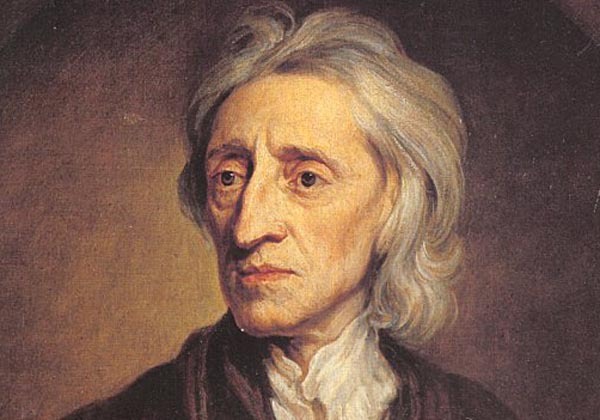 Over the course of the next century, Locke’s ideas on the social contract and views on rights would spread throughout Europe and would severely undermine the concept of sacred monarchies.